Here’s a fun stat to emerge from the Slush conference, currently taking place in Helsinki, Finland. 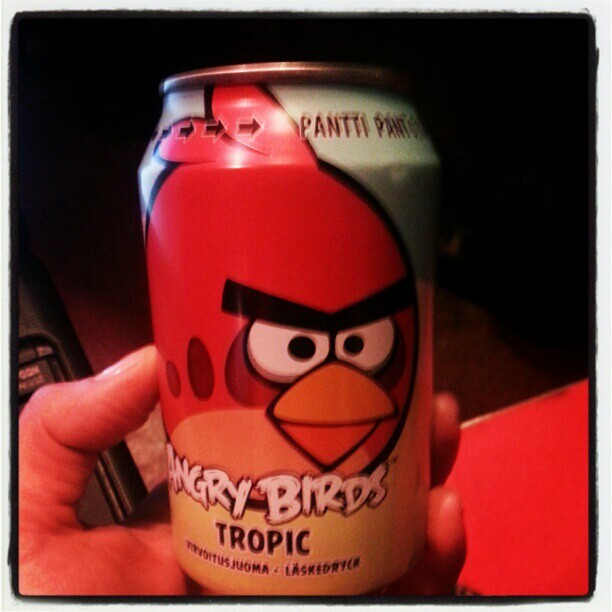 Angry Birds soda is the top-selling drink in that country. As noted by attendee Hanna Manninen and confirmed by our own Jamillah Knowles, who is at the event, the soda bearing Rovio’s mobile gaming mega-brand is said to be outselling Coke and Pepsi in Finland. During a talk onstage, the company’s CMO, Peter Vesterbacka also said that the drink would soon be available in New Zealand and Australia too. So, what is it like? Fruity, according to Jamillah, who says that it “tastes a bit like Lilt but less sugary and maybe a bit more like apples.” The funny thing is, that soda is far from the most unexpected direction the Angry Birds brand has gone in. Activity parks, a debit card and even a children’s learning resource in collaboration with CERN have emerged in recent months. Look out for Jamillah’s reports from Slush here on The Next Web over the next few days.